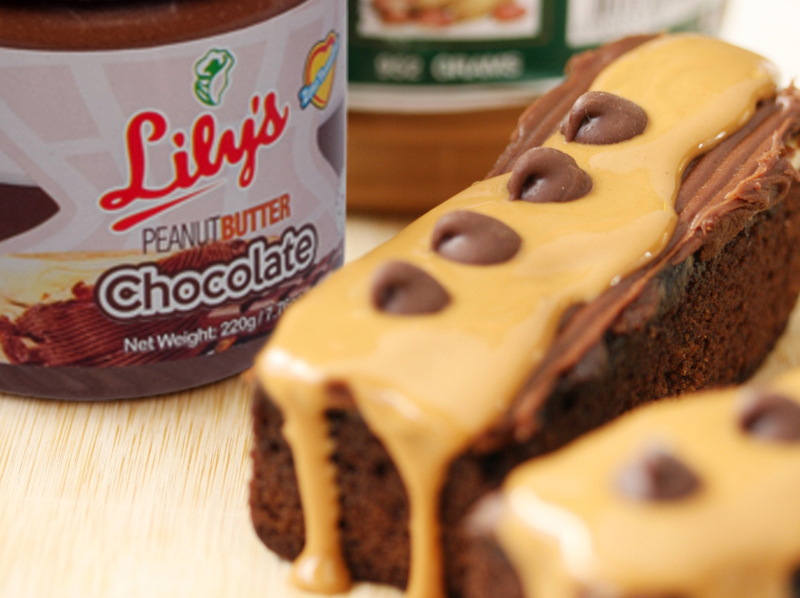 There’s a nice sweet and salty combination going on here, especially if you go the extra mile and top the fudge with a Lily’s Peanut Butter and a sprinkling of sea salt. The peanut butter and the salt balance out the richness of the fudge, making each bite pure happiness. Mix cocoa powder, sugar, milk, margarine and salt in a saucepan. Boil, stirring frequently, until it forms a soft ball in cold water. Remove from stove and add Lily’s Peanut butter and vanilla. Beat until creamy and pour into buttered 9x9 pan.